We offer all types of high frequency PCB fabrication and assemble, eg,Rogers 4003C, 4350B, Tacanic material, Arlon,PTFE,etc. Here,we finished a important project with Rogers 4003C, 4 layer PCB and loading. PCB specification:Rogers 4003,4 layer with special stackup. 1.6mm, Immersion Silver. 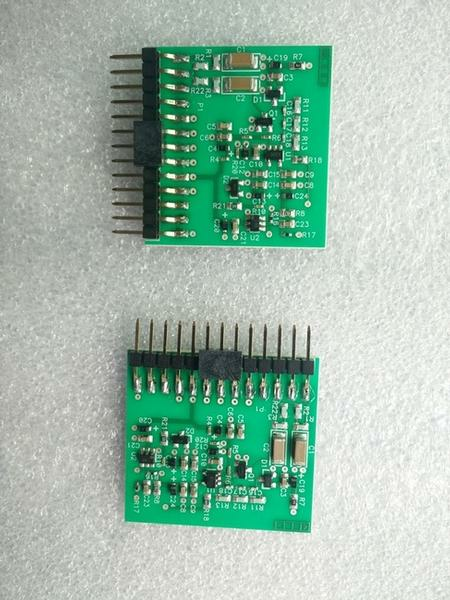 The components are the most important,especially for high frequency boards.